Home > Museum and Artwork > Percussion hammer and pleximeter in velvet lined box. 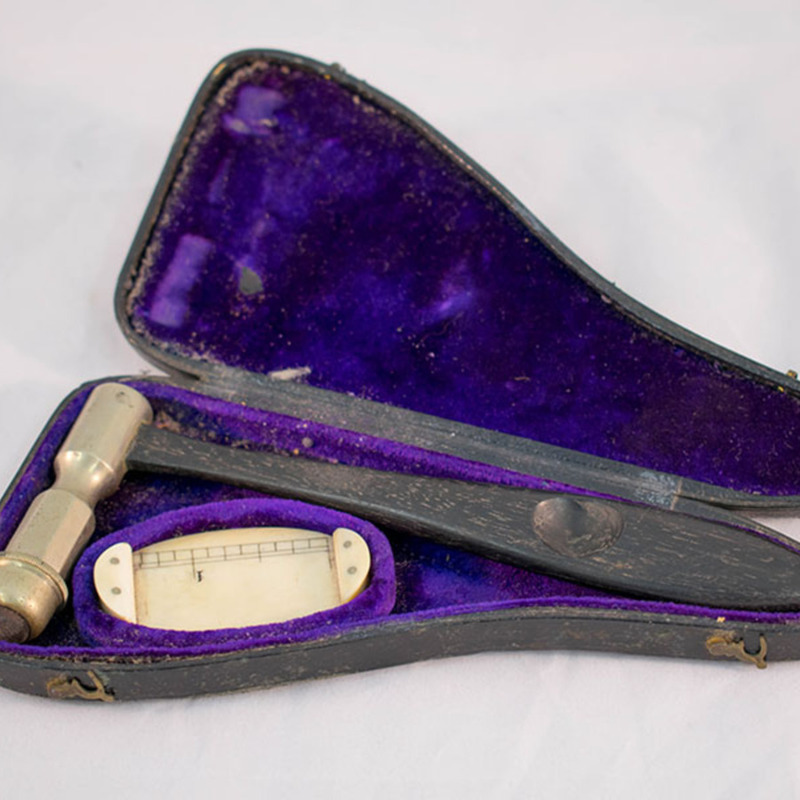 Percussion hammer and pleximeter in velvet lined box. A pleximeter (sometimes "plexor") is a small hammer that is used during clinical examinations to test the reflexes of the patient. One such reflex is the knee jerk reflex. The doctor will strike the patellar ligament of the patient and measure the reflex response to examine the patient's nervous tissue. 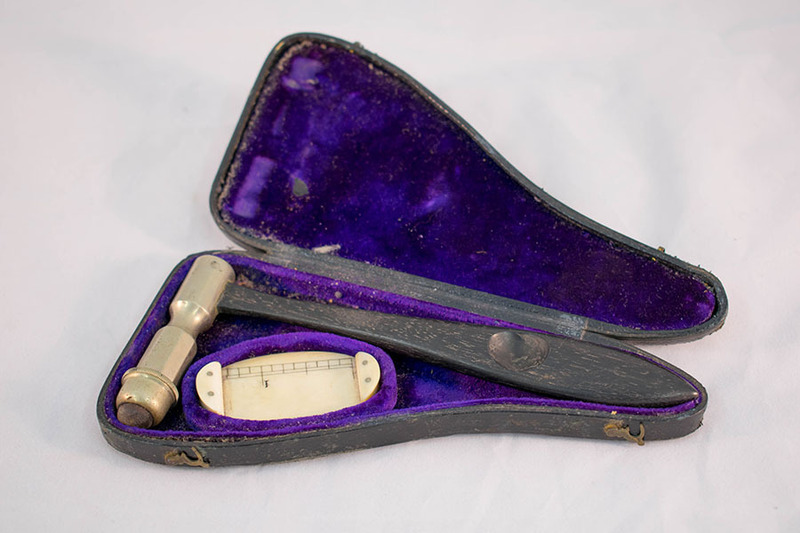 “Percussion hammer and pleximeter in velvet lined box.,” Heritage, accessed April 24, 2019, https://heritage.rcpsg.ac.uk/items/show/97. Title: Percussion hammer and pleximeter in velvet lined box. Description: A pleximeter (sometimes "plexor") is a small hammer that is used during clinical examinations to test the reflexes of the patient. One such reflex is the knee jerk reflex. The doctor will strike the patellar ligament of the patient and measure the reflex response to examine the patient's nervous tissue.